In 1997, seeing the potential of the internet as a tool for future business growth, Arwood launched his company’s first website. 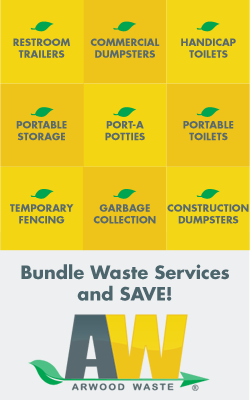 In 2004 he began establishing a nationwide network of waste management and portable sanitation companies under Arwood Waste National. Today he oversees locally delivered waste disposal, demolition, portable sanitation, and storage rental services across the United States. Admittedly, Arwood agrees that running a waste management company is one of the most challenging jobs in America. Managing their unique personnel, dealing with the many job hazards of handling trash everyday, and serving such a wide customer base regularly presents issues that would make a hilarious reality television show but he loves it. “I don’t care about making hundreds of millions of dollars because I would just give it away. What I care most about is doing what I can to make it better for everyone,” says Arwood. Commitment to family, caring for the community, and taking care of the environment have marked his life and continue to drive this visionary forward.